A team of researchers from the National Center for Atmospheric Research, the Pacific Northwest National Laboratory and Cornell University has found via modeling that injecting sulfate aerosols into the stratosphere could have unintended negative consequences. In their paper published in the journal Nature Geoscience, the group describe their models and what they showed. As the planet continues to heat up due to the collective refusal to stop pumping greenhouse gases into the atmosphere, scientists continue to look for other ways we might save ourselves. Instead of curbing gas emissions, it might be possible to cool the planet in other ways, such as by injecting sulfate aerosols into the stratosphere. The idea is to mimic the cooling effect of volcanic eruptions. Regarding such an approach, researchers have proposed that the aerosols be dispersed from balloons or airplanes at approximately 15 and 30 degrees latitude on both sides of the equator. The desired results would be reduced surface warming and a positive change in the temperature gradient. To learn more about what might happen to the planet if such an experiment were actually carried out, the researchers ran 20 computer simulations to demonstrate the impact of adding sulfate aerosols to the stratosphere in the proposed manner. The researchers report that overall, the models showed the desired cooling impact. But they also showed something less helpful—reduced global rainfall. The models showed that the changes in rainfall would not be uniform, either; some areas would get less than others. And as some of those areas, such as the North Atlantic, received less rainfall, the ocean would experience an increase in salinity, which would make the water denser. That denser water would then have an impact on the Atlantic Meridional Overturning Circulation, burying more heat in the deep ocean. The net result would be a warmer ocean, more polar melting and faster rising sea levels. The researchers conclude their report by pointing out that the true impact on the planet of such an endeavor could not be shown by computer modeling—at least not with complete confidence. Well, this author is an effing moron. 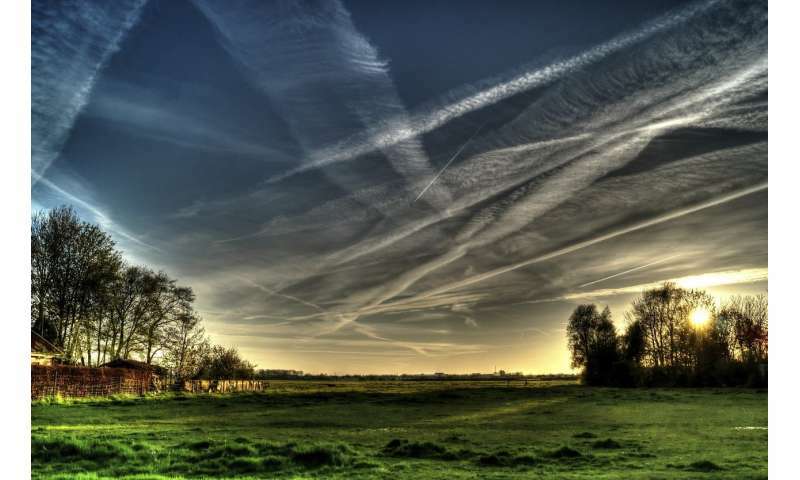 It's also to be noted that chemtrails are now referred to as geoengineering, an official version of that which we in the tinfoil hat wearing community have been laughed at for being capable of looking up to see the obvious. Well cant, you and your fellow denier-loons in the circle-jerk to destroy the Earth's biosphere. Have overlooked an issue you all are constantly yapping your fool heads off about? Which you shills for the Carbon Lobby and ICE industries have insisted are impossible. As you are paid to agitprop for the Politically Correct, Ideologically Pure pretense that no matter how great a pile of bodies you cause? The blood on your hands will wash off. No need to worry about your conscience, your greed cannibalized it, years ago. Claptrap, any change in climate is multi-variant. The climate debate does not address our planet's declining ability to support photosynthesis. Photosynthesis is THE fundamental process that regulates the chemistry of our oceans and atmosphere. Without addressing this issue the scale of that process makes any other human action in mitigating climate change meaningless. No. Really? Dumping stuff uncontrollably into the atmosphere might have consequences? Do tell. Seriously: Geo-engineering is a big no-no. In any kind of task - if you have no way to clean it up when it goes wrong you shouldn't be doing it in the first place. Oh wait. You mean like the ongoing jet spraying of aluminum particulates into the atmosphere that have been going on for the last 70 years? Really? It takes a team of researchers and "computer models" to figure out that this might be a bad idea? It's been going on for decades. Governments have been spraying our skies with these nanoparticulates all the while doing their best to keep the populous ignorant to that fact. Not for much longer.